The Russian state-owned United Shipbuilding Corporation (USC) laid her first cruise ship in last 60 years. Further details about dimensions and capacity of the vessel, as well as financial details were not revealed. 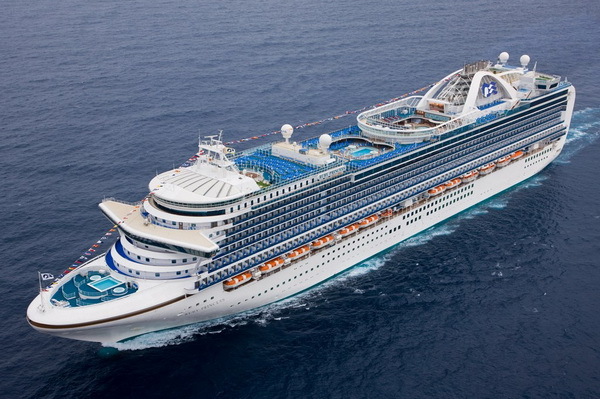 The building of the cruise ship is part from the strategy of Ministry of Industry and Commerce in Russian Federation to boost the industry by domestic orders in modernization of ocean fleets. The future of shipbuilding industry of Russia is mostly directed in developments of passenger and oil fleet. The average age of Russian passenger ships is about 40 years, as Soviet Union had a fleet of ocean liners that made cruises on the Black and Baltic Seas. These ships were mostly built in East Germany, Finland and Yugoslavia. However, such ships were too old and not effectively operating, as many of them even scrapped. Many tourists who chose holiday cruises used to vacation in Europe, spending million of dollars per year. But after the ruble depreciated, they simply cannot afford it anymore. This opens a new trade niche in the country by development of domestic cruise lines, which can be used to boost shipbuilding and domestic industry. United Shipbuilding Corporation (USC) is the largest shipbuilding company in Russia. The state-owned firm unites shipyards, design offices and ship repair facilities, accounting for 80 percent of the domestic shipbuilding industry. USC specializes mainly in military shipbuilding, as well as the construction of modern high-tech civilian vessels, including ice-class. However, now the company wants to expertise in building of high cost ships, just like cruise vessels. Russian federation adopted several laws to boost the shipbuilding industry, through the measures for “scrapping grant” and “offshore licensing”. According to the first mechanism, each shipowner can receive its new vessel just after placing an order at domestic shipyards and scrapping of old ship. The second measure, aims to boost the offshore shipbuilding, as the companies submitting applications for offshore exploration and development need to have an order in domestic shipyard for construction of vessel, which will operate in Russian shelf.